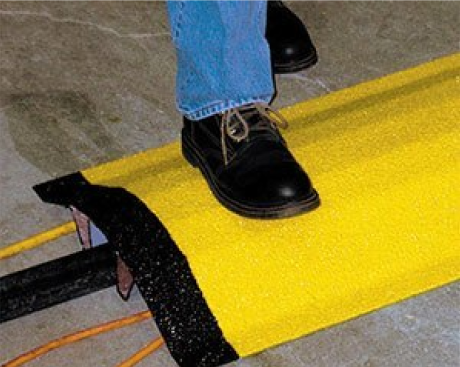 CableSAFE® creates a safe walkway over exposed pipes, cables, wires and conduit. With a durable anti-slip surface, CableSAFE® provides a safety bridge for foot traffic over these areas, avoiding slips, trips and falls. 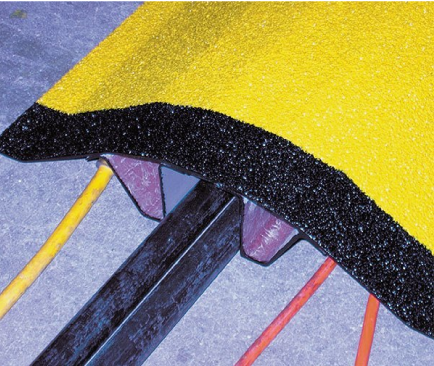 Further, CableSAFE® is lightweight and cost effective, as well as impact and corrosion resistant. Standard and custom pipe and cable covers are pre-fabricated for quick and easy installation. Securing them is easy with fasteners that can be manufactured in galvanised or stainless steel. Pre-drilled holes are available. CableSAFE® comes in safety yellow with black edges but can be custom designed to your specifications, including a glow in the dark option. Lengths are also customisable.